The låda range is inspired by pre rolled stock such as box section. The use of mix materials creates a conversation due to the contrast it creates in colour and texture. The simple clean geometric shapes allow for the materials to be the most important part of this range. 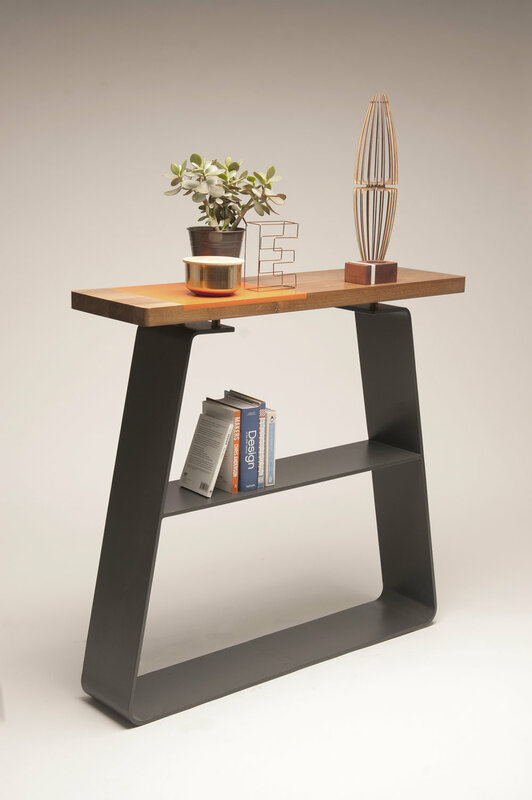 The console table is perfect for displaying items and adding a touch of contemporary aesthetic to the home. The låda range is inspired by pre rolled stock such as box section. The use of mix materials creates a conversation due to the contrast it creates in colour and texture. The simple clean geometric shapes allow for the materials to be the most important part of this range. 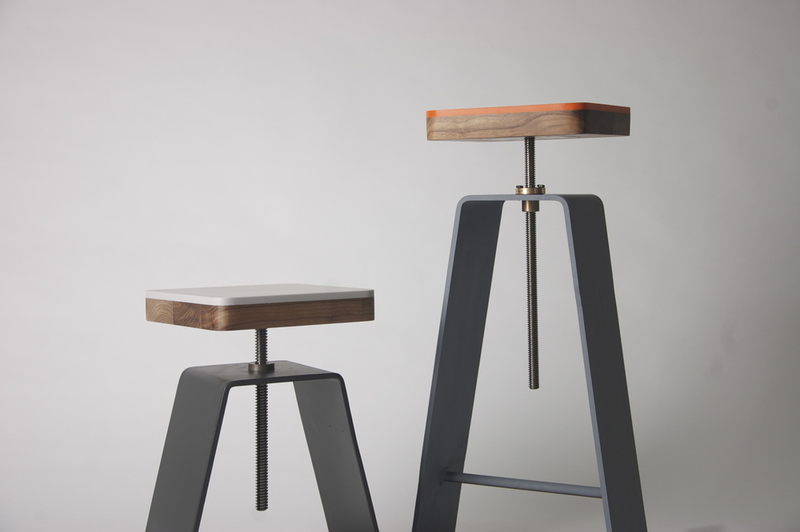 The stools come in two different heights, dining table and bar. The lead screw however allows for the height to be adjusted to other surface heights. Mangata - Mangata is an interactive sculpture inspired by the negative geometric shapes found in a waterwheel. It is driven by the idea of reflection. Reflection of forms found in the garden, reflections within its metallic surface, and reflection of the sunlight through the glass. 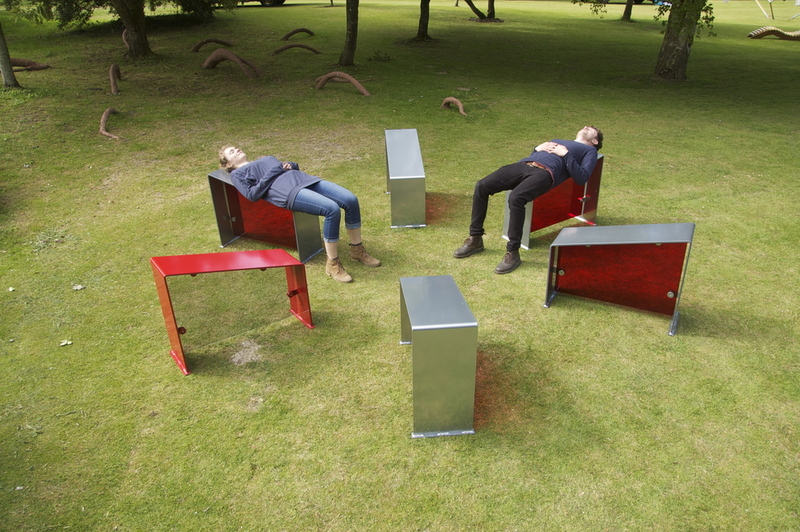 Together, these elements create a space to sit and 'reflect'. Mangata is on show at Fresh Air, Queninigton from 14th June - 5th July 2015. Jewellery 'Box' is a collection inspired by box section and the architectural qualities of jewellery. 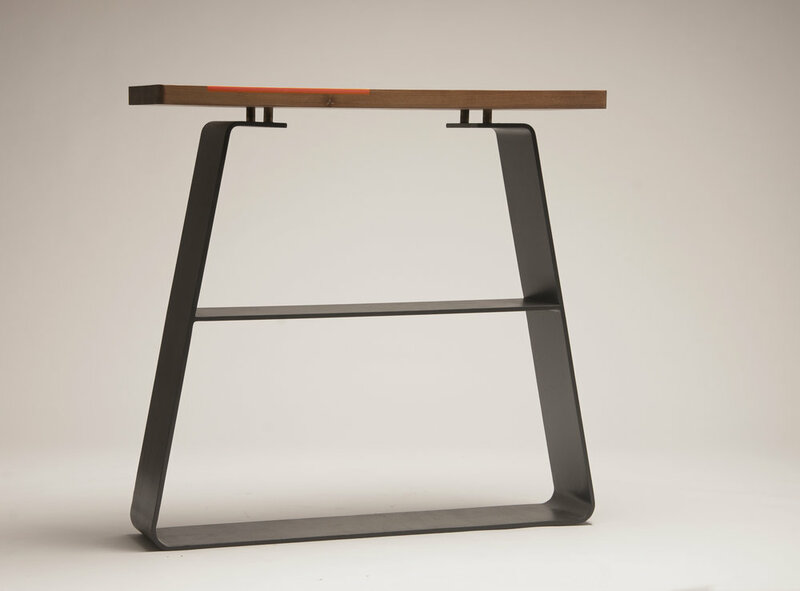 It plays with the scale of items and how that can change both the function and perception of the item. It is all handmade using sterling silver or brass and flocked to add colour and textual contrast into the pieces.